Carolyn Patterson graduated from Ferris State University in 1973 and opened Patterson's on July 4th 1976. In July 2015 Oscar and Carolyn Patterson celebrated 39 years as owners of Patterson's Pharmacy. OSCAR AND CAROLYN PATTERSON OPENED PATTERSON'S PHARMACY IN JULY 1976. THEY ARE both LONG-TIME RESIDENTS OF MUSKEGON HEIGHTS AND alumni of MUSKEGON HEIGHTS HIGH SCHOOL. Their children, Darwin and Cynthia, are also pharmacists (pictured below). 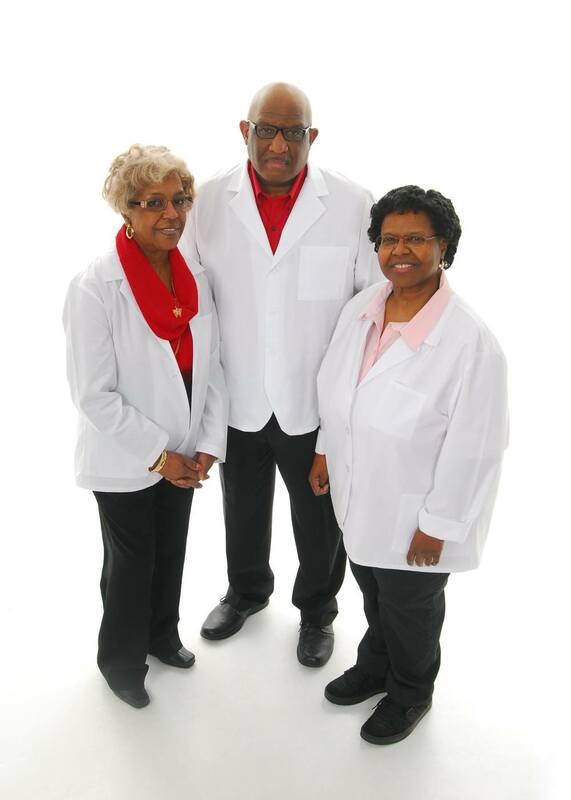 The business remains family owned and operated with many generations working together to serve the communities of Muskegon and Muskegon Heights, Michigan.